Any Apex Pod, Any time in June - 50% OFF with code FIRE2019 - Book online now! Enjoy the best of both worlds at Barnsoul. Make the most of the scenery and the freedom of your own place in the country and relax knowing all the amenities of a large town are on your doorstep. Located just a few miles from Dumfries in Scotland’s beautiful south, this is the perfect place to make magical family memories and escape from the hassle and the stress of everyday life. 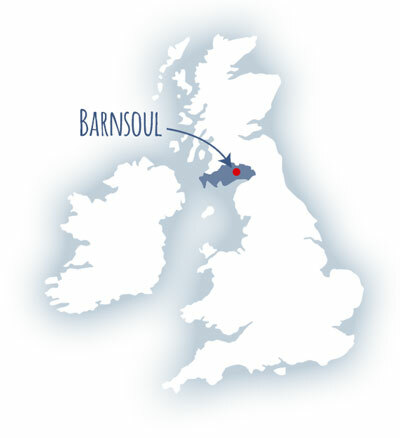 Barnsoul Caravan Park sits amongst 300 acres of woodlands, paddocks, ponds, farmland and family friendly adventure! We’ve designed the park to make the most of the stunning natural environment. Wildlife is in abundance including; deer, otters and red squirrels are often spotted at Barnsoul and some of our younger visitors tell us they’ve even seen fairies! Our small pond (catch and release) is stocked with trout, sticklebacks and there are frogs aplenty! We’re one of Scotland’s most dog friendly holiday parks and canine members of the family will love our large fully-enclosed dog exercise area. With only a handful of pitches snapped up so far, choosing your holiday home at Barnsoul this year means you’ll enjoy the pick of the plots. And if you’re not quite ready to own your own holiday home yet, we have a lovely selection of glamping options, and some great prices on seasonal pitches for tourers. Come to Barnsoul, switch off, relax, explore and remind yourself how beautiful this country really is.